The Big Bear Stampede is honored to once again be a part of the 2019 version of the Treasure State Trail Series. Visit their site for more details and a list of the other participating races. Thanks to all the runners, walkers, volunteers, and especially Nikki Kimball, and Anne Rich for making the 2018 Big Bear Stampede such a fun and special day. We hope to see everyone again in 2019! Come to the historic Roosevelt Arch entrance to Yellowstone Park. Run a challenging 5k or 9K at an average elevation of 6,200 feet with climbs to challenge any level! The Big Bear Stampede is pleased to have Bozeman trail running legend Nikki Kimball on attendance at this year’s Big Bear race to discuss depression awareness and help hand out awards. Nikki is a very accomplished runner with membership on 14 US National teams, 3 time winner of both North American and US Track & Field Association’s Ultrarunner of the Year awards, several National Championship titles, and a World Cup team gold medal. 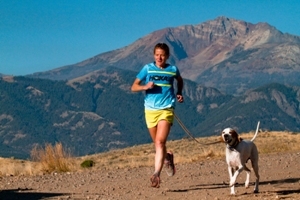 Nikki is also a multi-time winner and the women’s course record holder for the Bridger Ridge Run. We promise you a day packed with challenge, amazing views and fun! AND YOU can help raise awareness of depression as a life-threatening illness. 1. To create awareness that depression can be an acute illness which needs to lose the stigma that surrounds it. **A portion of our funds will go toward Park county educational and Gardiner School and community efforts concerning education of awareness of depression signs And suicide prevention. We will work with NAMI and AFSP and Western Montana Mental Health Centers, and the State of Montana’s Suicide prevention plans in this effort. 2. To share the belief that great obstacles can be overcome by a passionately pursuing dreams and by setting goals which stretch one’s capabilities. 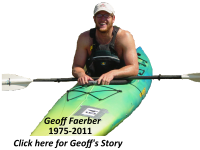 **This was a belief of Geoff Faerber’s and our goal is to fulfill this by using a portion of the funds to sponsor bringing persons to Gardiner who are facing great obstacles in life: handicaps, cancer, depression, and underprivileged through Eagle Mount and Western Montana Mental Health Center. 3. To have a fun and challenging competitive event in Gardiner Montana that brings the community together and encourages “visitors” to join our cause.